Home > Uncategorized	> Role Model!! 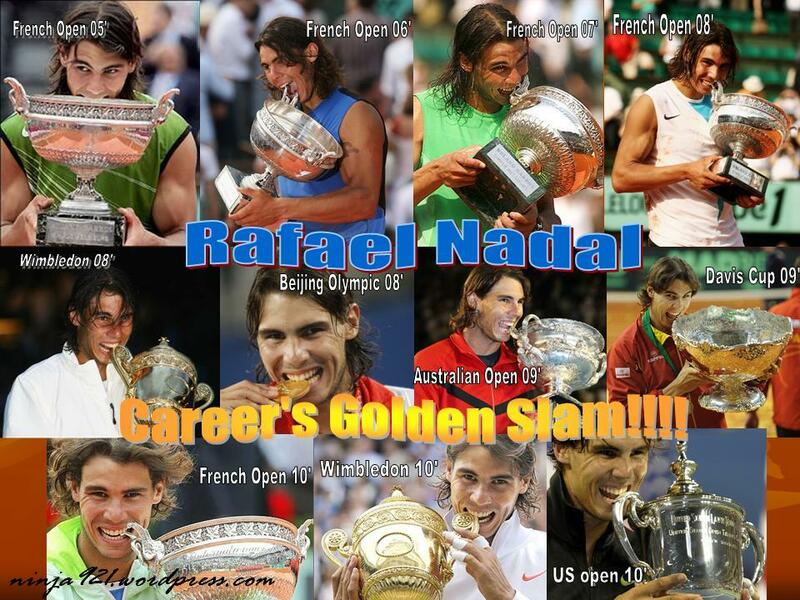 To my all time tennis Idol… Rafael Nadal…. In the long tennis history, there were only 2 person achieved Career’s Golden Slam, ie winning All 4 Grand Slams (Australian open, French open, Wimbledon Open, US open), Davis Cup, and Olympic Tennis Gold medal. The 1st one was Andre Agassi, the 2nd one is him, Rafael Nadal, at his young age of 24. 13th September 2010, he achieved it.